XXIV, 805 p., 5 ill., 18,4 x 25,5 cm. In cooperation with Alois Wieshuber. In his lectures held first in Jena in 1802/3 and then repeated in Würzburg in 1804 and 1805, Schelling developed his new philosophy of art, which was radical when compared to all previous aesthetics, subsequent to the ›System‹ of 1800 and the lectures ›On the Method of Academic Study‹. 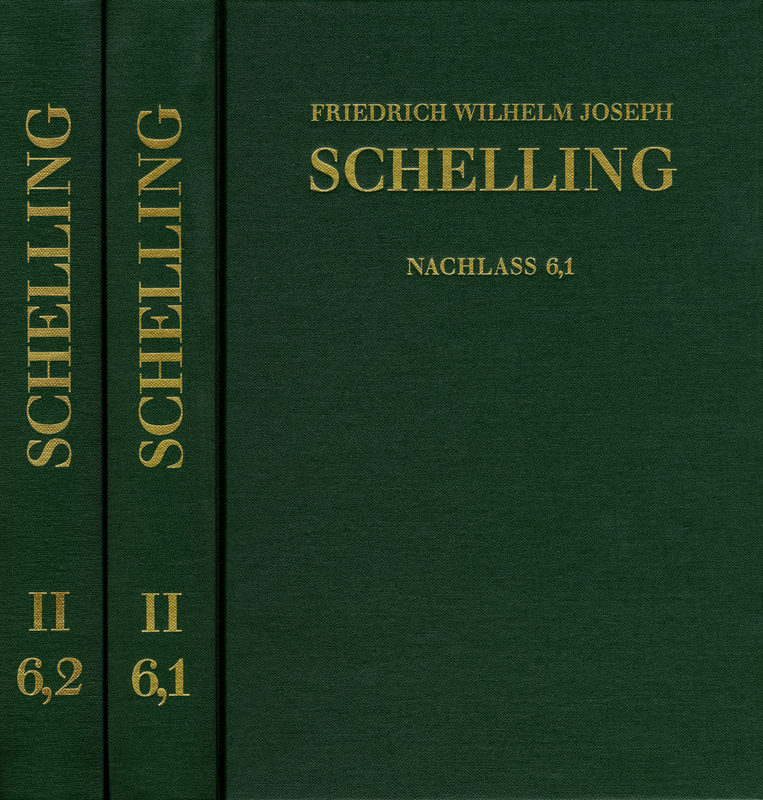 Schelling dismissed the effect aesthetics and the imitation aesthetics which had been common right up to Kant in favor of an aesthetics of medium and genre. This was based on the insight that »art represents a world which is as self-contained and complete as nature is«. In the philosophy of art, Schelling implemented the approach of identity philosophy paradigmatically from the perspective of system and content. This edition will make the text accessible in a new editorial form as a catalogue (available on a CD-ROM) of references to music, the visual arts, architecture and literature. The edition is based on the texts from the literary estate in the ›Sämmtlichen Werken‹ and will include the previously unknown unpublished transcripts from Jena and Würzburg.